Richmond was the capitol of the Confederate States of America and has a rich history. 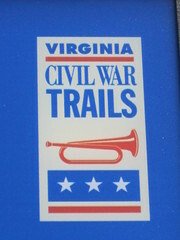 Within the downtown area there are five Civil War walking tours that can be done at one's own pace. The walks focus on the capitol square, capitol city, slavery/freedom, industry/commerce, and the home front. Each walk officially starts at the public entrance to the Virginia State Capitol, Bank St and 10th S, and take approximately an hour to walk. The tour can be followed by using a phone with internet capability or by downloading a PDF version and audio that can be played on an mp3 player. 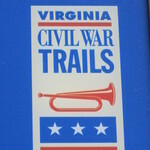 Visit http://www.civilwartraveler.com/RichmondTours/index.html to see maps and download the tours.